This year will be the 2nd year that my studio building hosts Dirty Smelly Noisy - Art & Inspiration from Industrial Environments. I have 4 days to finish my submission(s)...I hope I can do it! First, I need to go exploring and find some things around the building to incorporate into my work. I work in an old mill building, so inspiration is right outside my front door. I like to wander around and see what objects I can find and reuse in my pieces, allowing these objects to dictate what will be made. It forces me to step outside my comfort zone and do something new! 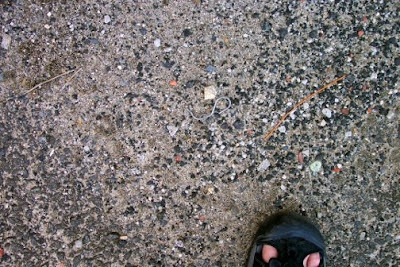 It also gives me a chance to observe our little world and gain inspiration from the sights and textures I find out there. 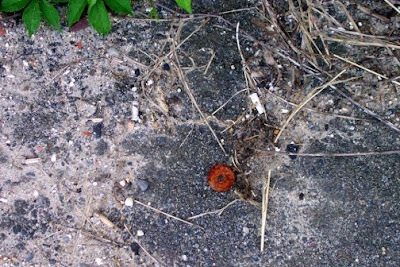 In my travels, I spotted this lovely rusted metal ring. I really love the color! A little Krylon, and it will be ready to use. I could stare at both of these pictures all day, just for the texture inspiration alone! 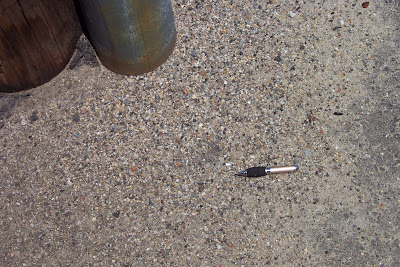 I also took this great photo of a pen on the ground. I wasn't sure if I could use the pen, but I grabbed it anyway. When you are out exploring, you never know what surprises you will find. 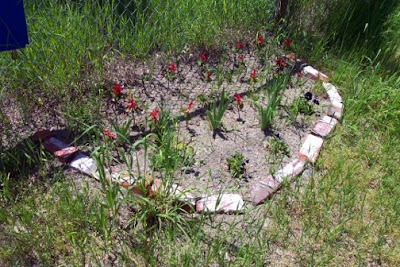 I found this impromptu garden on-site. I never knew about it! Part II will show my design process, and Part III will show the finished exhibit and my completed piece. Stay tuned! 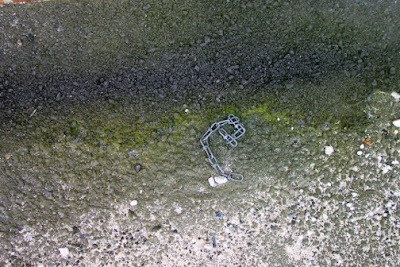 I love that photo of the chain on the ground. That rich green color always gets me!